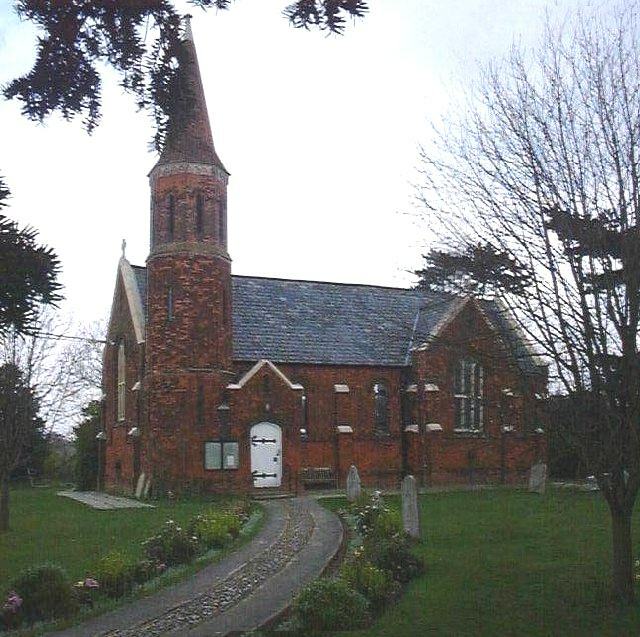 Built in 1841/2 of red brick with transepts, and an octagonal turret. The main windows have transoms. There is some Flemish pre-reformation glass in the east window.